11 December 2012 (Dubai, United Arab Emirates): Dubai-based Empire Aviation Group, one of the region’s leading private aviation specialists and operator of the Middle East’s largest managed fleet of business jets, has taken a second Embraer Legacy 650 executive jet under management on behalf of a private owner. The latest Legacy 650 will join a fleet of two super midsize Legacy 600 executive jets already operated by Empire Aviation Group from Dubai. Launched in 2009, the large Legacy 650 is an extended-range derivative of the successful super midsize Legacy 600. It can fly up to 3,900 nautical miles (7,223 kilometers) nonstop with four passengers, or 3,840 nautical miles (7,112 kilometers) with eight passengers. It enables Empire Aviation Group to fly up to 14 passengers, nonstop, connecting Dubai to major business destinations, including London (UK), Singapore, and Johannesburg (South Africa) in a comfortable, functional and elegant interior with three distinct cabin zones, as well as the largest in-flight accessible baggage compartment of its category. The Legacy 650 extended-range aircraft is one of the largest executive jets permitted to operate in restricted airports, such as London City (LCY). 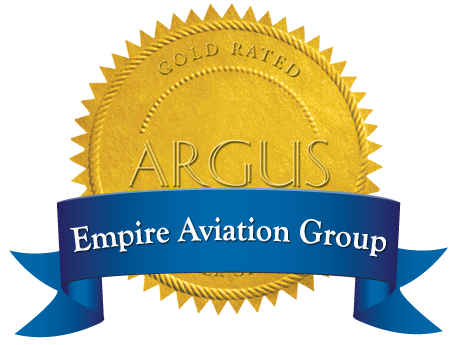 EAG offers a full management service to aircraft owners, based on a distinctive asset management approach which helps owners to optimize their investment and protect the long term value of their aircraft asset, covering all aspects of the aircraft’s operation, the option of charter, and maintenance management. “Our aircraft management services are the core of our regional business and it is gratifying that we continue to attract new aircraft owners to bring their aircraft under EAG management. In fact, we were the first operator in the Middle East to manage a Legacy 650 and we are delighted to add a second to our managed fleet, and to expand our long-haul capabilities,” said Steve Hartley, Executive Director of Empire Aviation Group. Empire Aviation Group operates the Middle East’s largest managed fleet of private jets from its base at Dubai International Airport, with around 20 jets under management on behalf of their owners, several of which are available for charter. EAG offers private jet charter, charter brokerage services anywhere in the world, and medical evacuation/assist. Air Works India Engineering Pvt Ltd (Air Works), India’s leading provider of Aviation Services, became a strategic investor in Dubai based private aviation specialist, Empire Aviation Group FZCO (EAG), in 2012, in a move designed to help Air Works increase its footprint in the Middle East and provide world class aircraft management services to its customers in India.